uniANALYZE loads all pavement images related to a particular section. It allows the user to continuously measure the distress over an entire section of pavement. Figure 1 shows the image load dialog box. uniANALYZE uses state-of-the-art digital image processing technology to analyze pictures taken from various types of pavement surfaces. uniANALYZE has two main image processing steps: image segmentation and crack classification. The pavement image is divided into user specified grids to compensate for the various lighting condition in pavement surface. A noise filter is applied to the image to remove the background noise caused by the pavements rough texture while maintaining minimal degradation of sharp crack edges. A white line detection filter is applied to reduce the errors caused by the distinctive edges of any white line using statistical properties of pavement images. 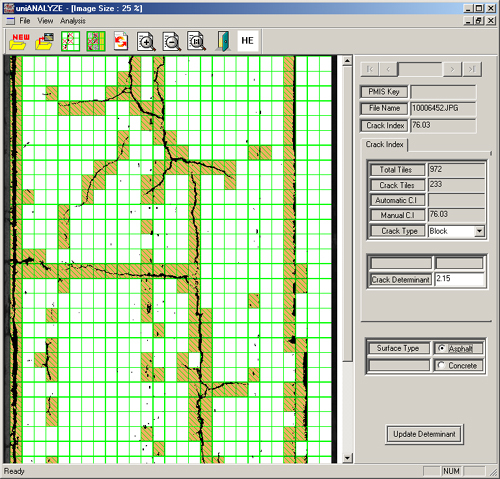 A crack detection analysis is applied to each grid to distinguish the cracked grids from the background grids. Since there are many definitions of different distress categories, uniANALYZE currently adopts three different crack classification standards: Unified Crack Index, AASHTO provisional standards, and SHRP-LTPP distress manual. Custom standards can also be implemented based on client's requirements. AASHTO provisional cracking standard have been adopted into uniSURVEY and have been used in a systematic and rational manner since 2000. uniSURVEY can determine the crack type for each image based on the AASHTO protocols. After defining the crack types, uniSURVEY can then calculate the extent and severity of the crack. This is measured by either length or area of crack depending on crack types. Figure 3 shows a sample of the AASHOTO standard analysis result. Figure 3. 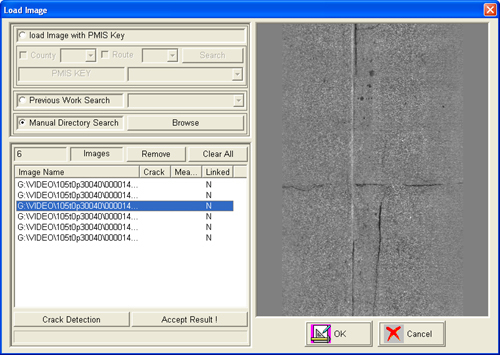 The AASHTO image analysis window displaying a level 2 severity 6.1 meter fatigue, 22mm in width with a 2.8 meters long transverse, and a level 3 severity 6.1 meter long miscellaneous cracks. SHRP-LTPP distress identification manual is a widely adopted cracking protocol used by many states and agencies. uniANALYZE can classify distress types based on SHRP-LTPP protocol. uniANALYZE first determines the location of each crack, and then distinguishes the crack type based on the location and shape of crack. uniANALYZE can then calculate the extent and severity of the crack. The crack extent can be measured by either the length or the area of the crack depending on the type of distress. Figure 4 shows an 11 ft long, high severity wheel path longitudinal cracking. Figure 4. The SHRP-LTPP analysis window displaying a processed distress of 11.67 ft high severity transverse cracking. 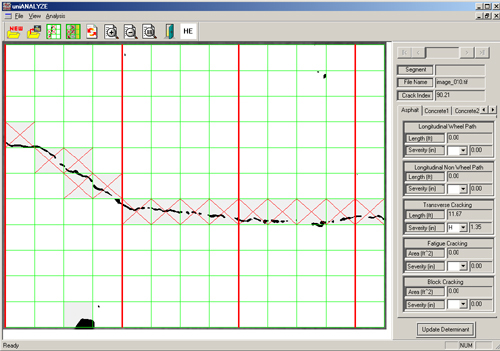 As shown in following figure, a user can measure cracks using a mouse on a computer screen by tracing a line along a crack. From the starting point of a crack the user holds down the left mouse button and drags the mouse to the ending point of a crack. In order to measure the extent of Alligator Cracking, the user can draw a polygon along the boundary of the cracked area. 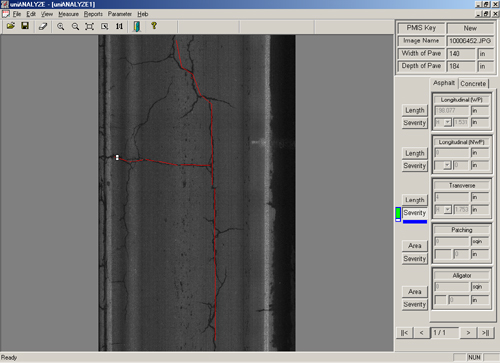 uniANALYZE automatically computes the extent and severity of the cracks and displays the measurements. The computed result is displayed on the right side of the information window, with type of distress categorized. The information window also shows the full path of the image, section I.D., location information, and the actual dimension of pavement surface. Figure 5 shows the distress analysis window. Multiple digital images can be automatically processed to determine the amount of cracks for each pavement image. The processed crack data is then stored in an MS Access database, which can later be used for detailed analysis. 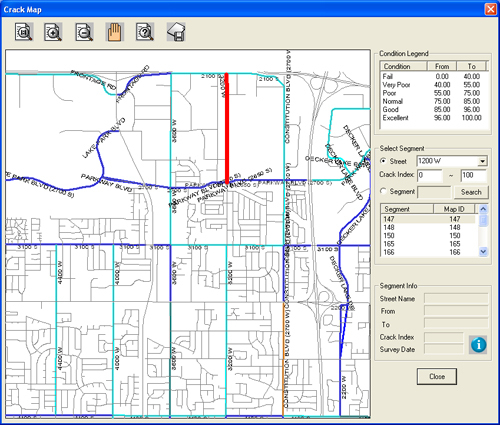 The database can be embedded into an integrated GIS system that will allow the user to access and manipulate the data interactively through a digital map. 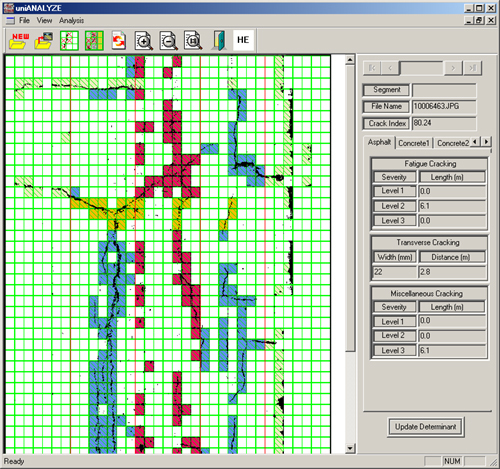 Figure 6 shows the example of computer screen, which displays the analyzed result on a digital map. uniANALYZE automatically stores the analyzed results into a database. Two types of reports are generated as a result of pavement image analysis: 1) a detailed report and 2) a summary report. The detailed report displays the image file path, the extent and severity of each distress, and the location of each individual pavement image. The summary report provides the total extent and severity for 100-meter sections of pavement. 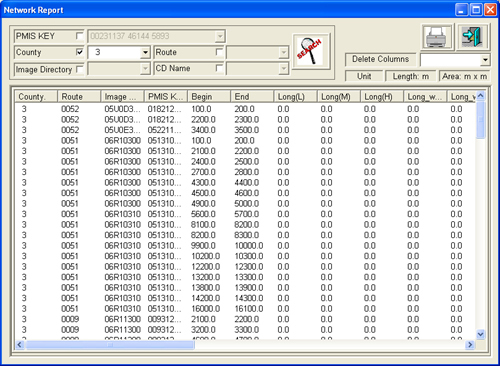 Figure 3 shows the screen shot of the summary report dialog box.